Back in November last year, mum and dad came to visit Bahrain. Their first time here. While trying to figure out where to take them in their short, short stay, one place I figured they would like was the Bahrain Fort. It’s one of the main tourist attractions in Bahrain. There aren’t too many. 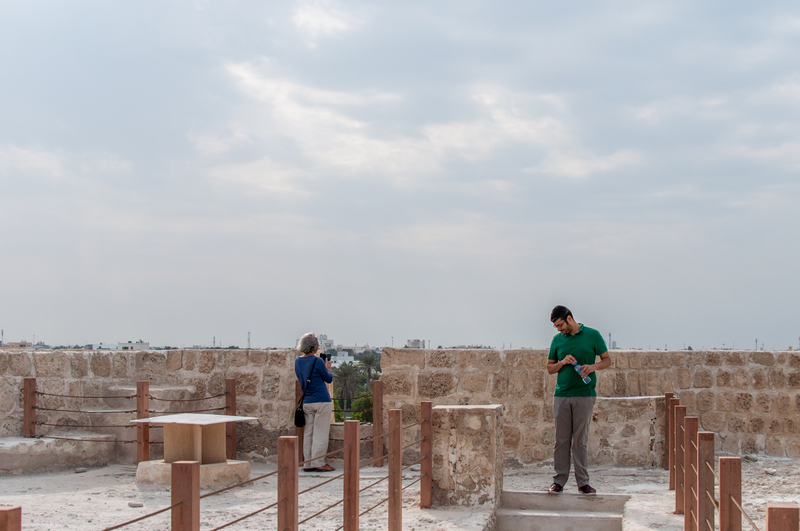 We took them out to the fort after a taste of Bahraini breakfast at Saffron in Manama Souq. While I think mum appreciated some of the history while wandering around the pretty epic fort, dad was a little less entertained. (Note he isn’t in this shot.) Ah well, can’t say I didn’t try. Should have known better though. Was just excited to have them in Bahrain.